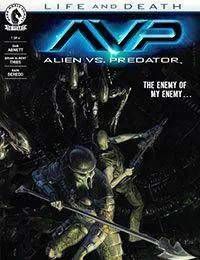 Battle Lines Are Drawn!The Predators arrive on LV-223! The question is: are they here to finish the fight with the Colonial Marines, or will they join the marines in the battle against the Aliens? And who will Ahab—the Predator from the Fire and Stone story cycle—side with?